The biggest fear grillers have is trying to cook something too delicate to hold together on the grill. Well, there are several answers to this problem and one of the best is to wrap that delicate item in something that will not only hold it together but add flavor at the same time. While there are several packet grilling options, one of the best is corn husks. Yes, these corn wrappers are not only cheap to buy but easy to work with. If you happen to have some fresh corn on the cob laying around you can go ahead and remove the husks, wash them and use these to wrap your food. Make sure you get all the silk off beforehand. If you have dried husks you don't have to soak them before you use them. What you need to decide is, are they too brittle to work with. Corn husks need to be pliable enough to wrap but don't have to be soft. They also don't need to be soaked to prevent burning. 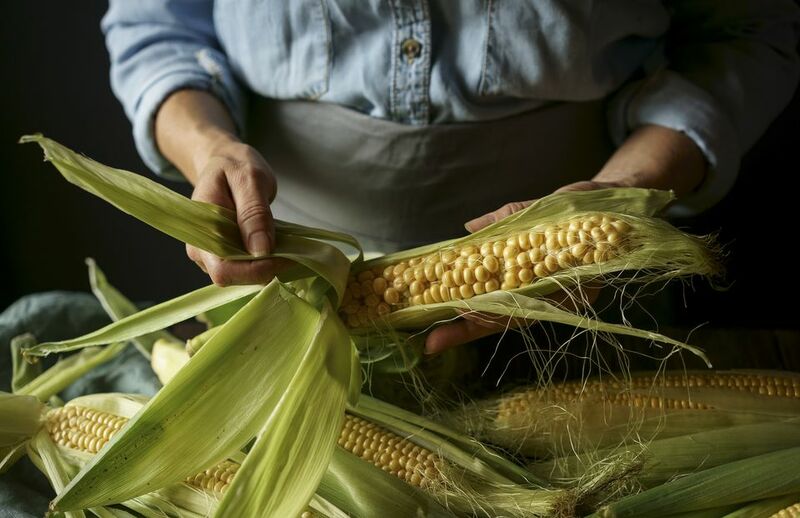 The charring of the corn husks adds a great smoky flavor to foods while they cook, so if you do need to soak, only soak them long enough to make them workable. Soak corn husks in hot water, but do not boil them. When wrapping foods in corn husks you need to make sure you have enough space to completely wrap the food item. Lay the corn husks out in layers to provide an area large enough to go all the way around. By layering them, you can keep the husks together. Start wrapping with the top layer husk and work your way to the bottom husk so that each piece holds the next one in place. Use kitchen twine to tie the packet together. If you are feeling a little more traditional, you can tear a couple of husks into thin strips and use these strips to tie the package together. So what are you going to wrap? Fish is always a good choice. Delicate fish fillets can give the most experienced griller grief, but not wrapped tightly in a corn husk. Corn husk packets are also a great way to mix food items together. Try making individual fajita packets. By letting the meats and vegetables grill together, you blend the flavor better than grilling everything individually and you can cut everything up small before you cook. This lets you serve straight from the grill in an attractive package. Make sure you select items that can be grilled in about the same amount of time. Corn husk packets are very easy to grill. Make sure you are working with a clean cooking surface and that your packets are tightly secured. Now grill over a medium heat, turning to prevent the husks from burning. Remember that no one is eating the husks so charring is fine. Just don't let the packet burn through to the food. The smoke created by the charring husks will add flavor to whatever you cook. Yes, You Can Grill Tomatoes!